From 1st January, 2017, China’s roads are set to become a little bit safer. With the promulgation of GB1589-2016, which governs the legally-allowed weight and dimensions of commercial vehicles, the playing field for European and Chinese vehicle manufacturers will also become more level. 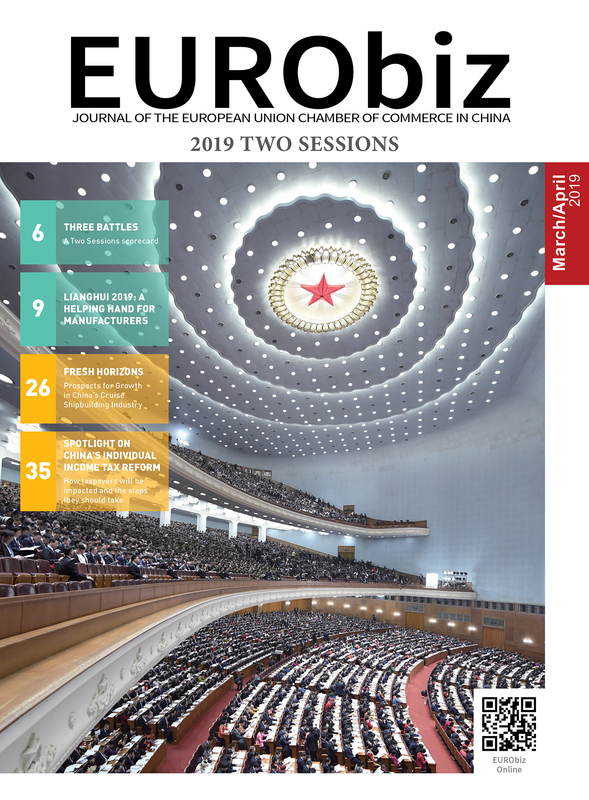 Mats Harborn, former Chamber Vice President and Vice Chair of the Automotive Working Group, explains the new standard in the context of China’s overall reform drive. China is undergoing change on a scale perhaps unprecedented in the history of mankind: if it is to continue to prosper, it now needs to undergo deep and comprehensive reform. So frustrated is President Xi Jinping by the lack of understanding in China about what reform really means, that on 10th May he used the official Party newspaper, People’s Daily, to outline his views on this topic. In the article he reiterates that market forces should play a decisive role in resource allocation, and for that to happen there needs to be a level playing field. That in turn requires all players to abide by the same rules, standards and laws, which cannot be achieved without strict and equal enforcement. In the field of road transportation, these issues become very concrete, visual and easy to understand. Up until now, the standard regulating the weight and dimensions of commercial vehicles (GB1589-2004) has not been enforced, although a revised standard was published and enforced in 2004: instead, in the blind pursuit of economic growth and high GDP numbers at any cost, the regulatory agencies turned a blind eye to violations. 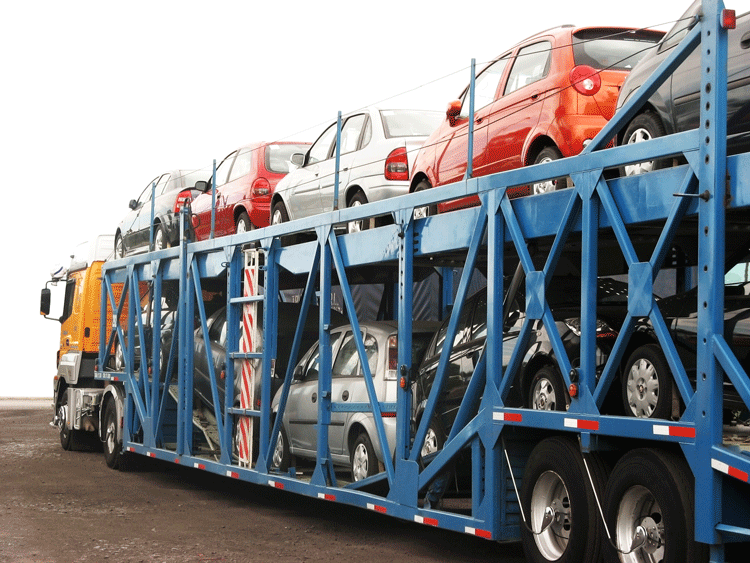 Transportation companies have basically been free to overload and to use both trucks and trailers that violate even the most basic safety standards. Nowhere is this more observable than in the area of car transportation. It is still common to see 30-metre-long semitrailers with cars loaded two levels high and in two rows – one single car carrier can carry over 40 cars. It goes without saying that these vehicles are dangerously long, far too wide and that pressure from their axles badly wears down China’s newly-built road network. Of course, in the short term, such enormous car carriers result in low unit costs per tonne per kilometre, which stimulates economic growth through low prices. However, what has become increasingly obvious in the past few years is that the consequences of this ‘growth at any cost’ strategy are serious. Again using the car carrier as an example, such externalities can be seen in the form of road accidents, air pollution, reckless competition, and wear and tear of roads and bridges. Who is to bear these costs? It is exactly this principle that President Xi addresses in his article. China must change its development model from one that pursues blind, inefficient growth to one that is sustainable and resource-lean. Growth has to serve the people and create higher quality of life for all, and that also includes road safety. The Ministry of Transportation, together with the Ministry of Public Security and the Ministry of Industry and Information Technology, took the lead in revising the weights and dimensions standard. This work was started back in 2010, and serves to create a level playing field for road transport companies: by making them all play by the same rules it is hoped that service levels and efficiency will be improved as a result of the innovations that open competition fosters. The new mass and dimension standard—GB1589-2016—was launched on 26th July, and has been in the process of being gradually enforced since 21st September. What impact will the standard have? This measure should be viewed in the larger context of allowing market forces to play a more decisive role in resource allocation: it demands that the same rules apply for all market players and that they be strictly enforced. This is the basis for rule of law in China, a principle that has been advocated since its promulgation during the Fourth Plenum in 2014, and hence this time around there is great determination to enforce this standard. The European Chamber and the ACEA (European Automotive Manufacturers’ Association) have for the past five years been deeply involved in the revision of this standard. Violations of both the previous and this new standard represent a great problem for society as a whole, and in particular impact European companies in China that are committed to safety and sustainability and thus comply with Chinese legislation as a matter of course. That so much road transport in China flouts existing standards and regulations is one contributing factor to the higher costs of transport and logistics in China compared with the rest of the world. In China the cost is around 17 per cent of GDP whereas in Europe it is around nine per cent. Among other things, GB1589-2016 will also affect the design of car transporters – over a period of two years, all cars will need to be transported on compliant, 22-metre-long, 2.55-metre-wide carriers. This means that it will only be possible to transport a maximum of ten cars on one car carrier. At first glance this would imply that four times as many car carriers will be needed to match the same transport capacity. In real life, the change will not be that extreme. China will likely be able to manage with approximately the same number of car carriers, but with each car carrier being used far more efficiently and some other types of vehicle taking over some of the transport flows. Today, the average car carrier drives less than 80,000 km per year; but with better equipment, higher running speeds and better transport planning, the utilisation rates can be improved and the annual mileage at least tripled. While this will not be easy, it is exactly such challenges that drive progress. As of 1st January, 2017, all newly-produced vehicles in China will have to adhere to the new masses and dimensions standard. Since non-compliance can result in heavy fines, as well as the cancellation of transport licences, there is a lot of fear in the market: a great deal of existing vehicles do not comply with the standard to a large extent. The good news is that everyone is now aware of GB1589-2016 and understands that the industry will have to adapt. The question that everyone is now asking is, how long will the government allow the industry to make the necessary adjustments? The Chamber has been in close contact with the Ministry of Transport since the No.62 decree, which announced the introduction and enforcement of the standard, was issued. A clarification notice was sent out on 14th October, granting a grace period for the transport operators and equipment manufacturers to adapt. Although the length of the grace period is not clearly defined, it is expected that it will last around one year. However, overloading will no longer be tolerated with immediate effect. Any company transporting goods in China will henceforth have to follow the new standard GB1589-2016. Any exemptions permitted during the transition period, which allows for higher loading capacity than intended, should not be used in the calculation of freight rates. Instead, better transport planning, higher utilisation rates of equipment, lighter and better-designed equipment will produce a more sustainable transport system in China with more competitive rates. The intention of reform, as President Xi has stated many times, is that innovation will be the new driver of the Chinese economy. Innovation is not only about technology, it is also about business models and management. China has entered a period in its economic development where the old model for growth is void. Thus, the phrase ‘new normal’ was born, which is, in essence, about getting more value out of fewer resources and creating more sustainable business models. For more information on this standard, please contact the Automotive Working Group: Ink Zheng, 010- 6462 2066 ext 23. Share the post "Driving change in China"